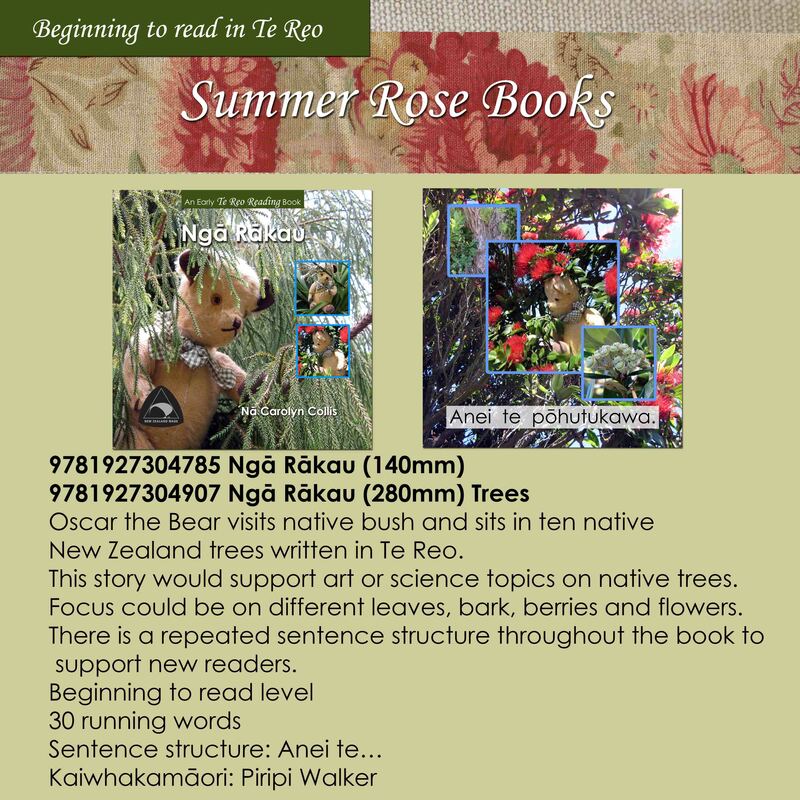 Oscar the Bear visits native bush and sits in ten native New Zealand trees written in Te Reo. 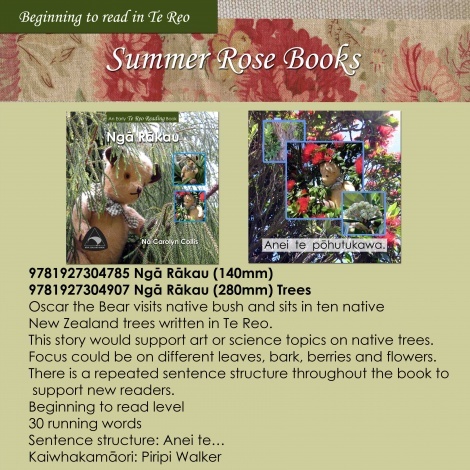 This story would support art or science topics on native trees. Focus could be on different leaves, bark, berries and flowers.